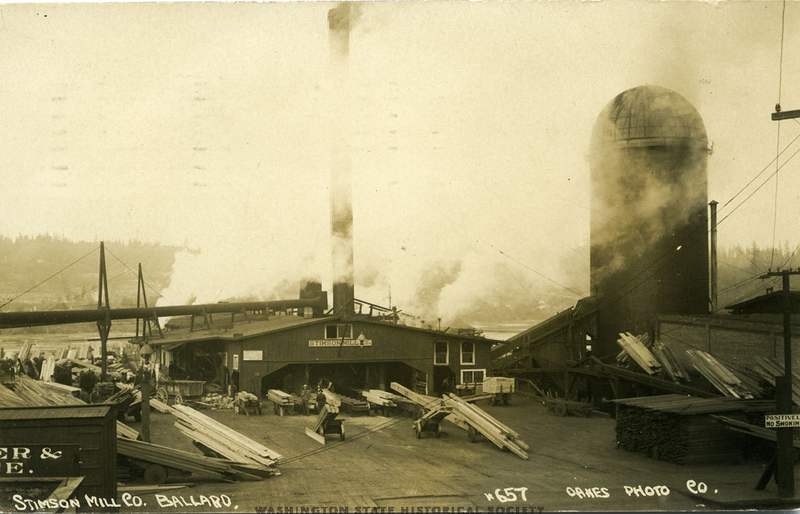 In the early 1900s, Ballard was one of the most powerful and productive cities in Washington. They were known for being a work-hard-play-hard fishing and mill town, and legend has it that for every liquor license issued they required a new church be built. 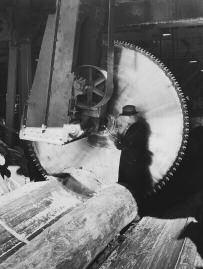 The local industry was prosperous, but unfortunately, Ballard didn’t have the resources to manage its inhabitants. 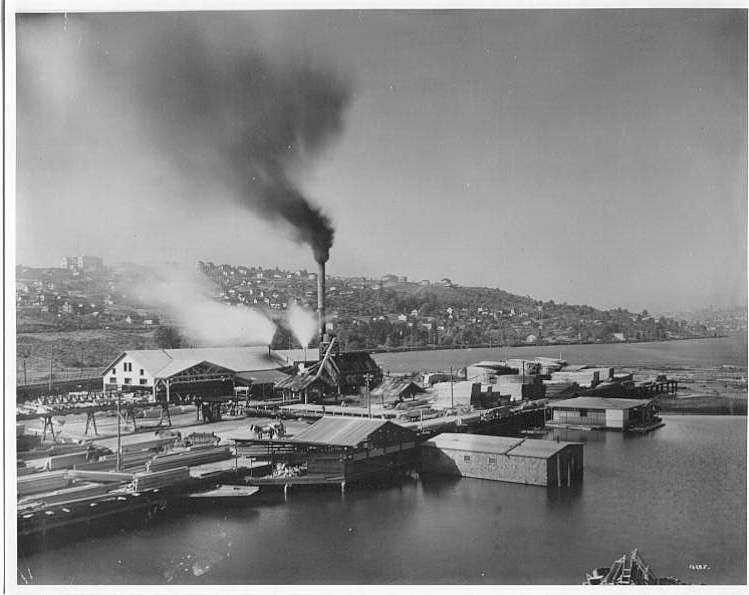 Like many sea-side blue-collar towns with swiftly-burgeoning populations, Ballard had serious problems with the quality of their public water. The dead horse that was found floating in the Ballard’s reservoir—and which was the nail in the coffin for Ballard’s public water supply—was rumored to have been planted by Seattle agents trying to force annexation. 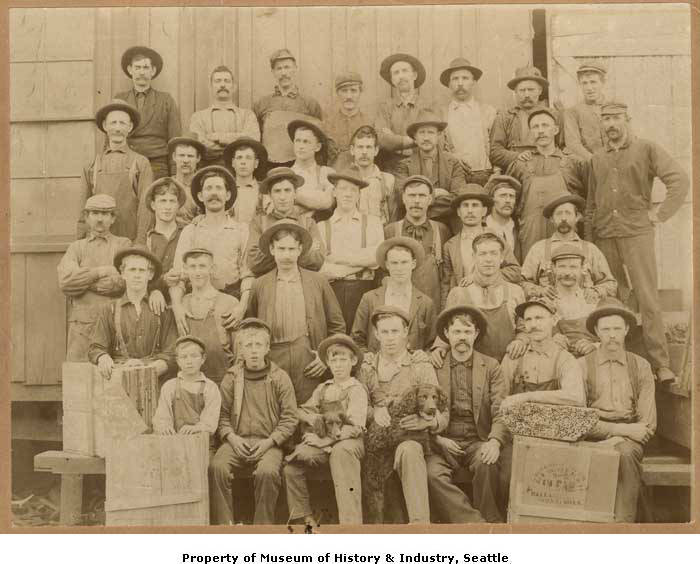 Further, the vote for annexation was held at a time when the fishermen were out at sea, supposedly because those left on shore were more likely to vote in favor of annexation because they would welcome Seattle’s stricter drinking laws. Historical speculations aside, Seattle got their way, and Ballard got their water. 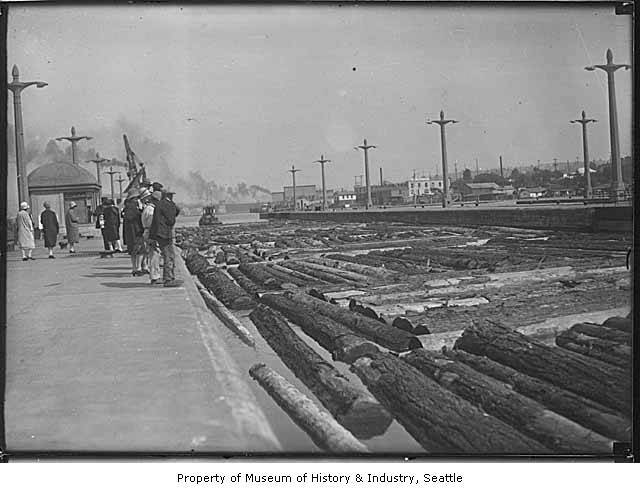 On May 29, 1907, Ballard officially became part of Seattle. Residents and businesses draped their buildings and City Hall in black crepe and flew the flags at half mast in mourning. People still have bumper stickers that say “Free Ballard!” to honor the memory of Ballard independence. Here at Shingletown, we’re also trying to honor those memories. 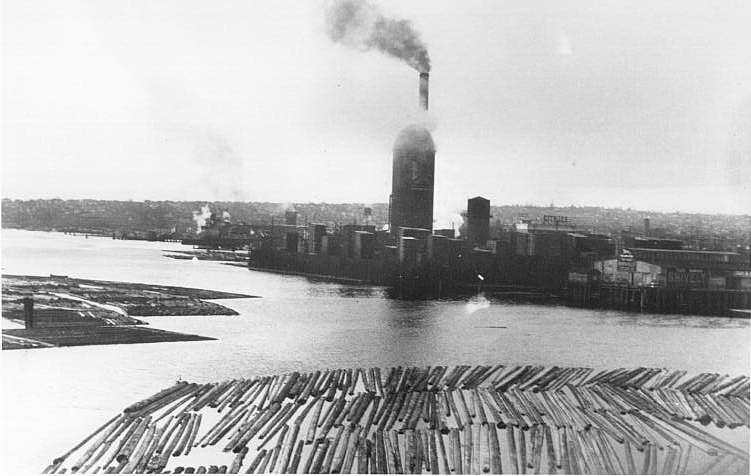 Ballard’s shingle-production industry is no more, and the Ballard mills are shut down, but the Ballard landscape still bears marks of its history. At Shingletown, we’re trying to combine Ballard’s new industry of shops, restaurants, and bars with the a respectful nostalgia for the past. You’ll find cedar panels, old saw blades, a reclaimed barn timber bar top, steel fixtures, and many old photographs in our pub and eatery, and the walls are lined with photographs from this all-but-forgotten past. We hope you’ll come by, raise a beer with us, and take a moment to wonder at the lives of all the men and women who walked down Market Street a hundred years ago.